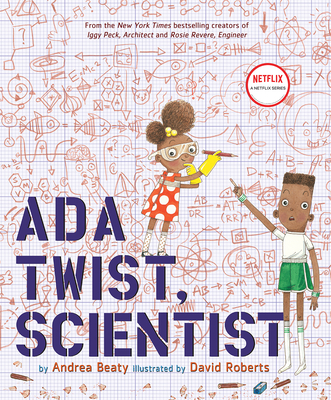 David Roberts has illustrated many children’s books, including bestsellers Ada Twist, Scientist; Rosie Revere, Engineer; and Iggy Peck, Architect. "Beaty delightfully advocates for girls in science in her now-trademark crisply rhyming text." "Use this book to jumpstart conversations about scientists, girl scientists, gender roles, forming hypotheses, giftedness and childhood genius, and individual creativity. Or just use it for laughs on a lazy school day afternoon." "A winner for storytime reading and for young children interested in STEM activities." "Young Ada Twist and her nonstop intellect might just encourage readers to blaze trails of their own."